We assume you have heard of the heavenly and majestic hall located up in the skies, being the kingdom of the ancient, Nordic Gods. It is an interesting and quite fascinating subject to speak of for many, and it has also been incorporated in Video Slots numerous times. This time, however, Bet Digital has made sure to let us all in on the secrets of this majestic place. Are you ready to feel the mighty vibes of true Nordic? We proudly present, Valhalla Video Slot, a game brought to you by Bet Digital! Betdigital is a fairly young gaming company founded in 2011 and based near Oxford in the UK. The company was founded with the focus to develop content and systems mainly for the UK and international gaming market. Even though the company was founded recently – it still holds over 50 years’ experience in the business. This with a base of knowledge of developing and selling gaming products for so-called cross-platform content. 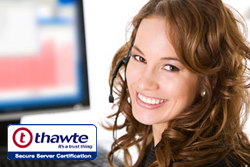 This has helped them grow fast and steadily to become one of the companies to keep a close eye on. Betdigital created among other, two completely in-house made products – named SystemX and GRID. These were the business´ very first cross-platform engines for gaming and they instantly drew attention from third parties. Apart from this, Betdigital also offers and develops high quality content and games that is offered to operators all around the world. They offer fun, entertaining, video slots with rewarding features and a lot of different themes and types. Playing games from Betdigital is certainly a unique experience with their unique designs and creations. Everything made in-house, makes it even better. Check out their portfolio at Videoslots.com now! Valhalla is a game obviously inspired by the ancient old Gods and their majestic kingdom. But this game lets you enjoy a little bit of everything, with some small attributes of Viking-looking artefacts. But, that is what Nordic mythologies comes with. Everything one can imagine when hearing about the Nordic Gods are in the game, either in the symbols or the general designs and graphics. You will surely enjoy this one! Valhalla grants you a great deal of symbols perfectly suited to the theme of this brilliant game. These are all made in clear details and nice animations. The lower valued symbols are of the standard card deck symbols though, these ranging from 10 to Ace. They are all worth between 150 and 200 coins when landing five of a kind – depending on your placed bet. The higher valued symbols are then, of course, of the various symbolic symbols. These are the Viking helmet, the golden horn with chicken feet, the shield with axes, and the Viking ship in the rough seas. These are worth between 400 and a staggering 2500 when landing five of a kind. Above all these basic symbols, there are also a few extra special ones that can grant you both high wins and thrilling features. The Wild Symbol is of the female Viking lady, maybe even being Freya. Apart from that there is another special feature in the game, which we will tell you all about shortly. 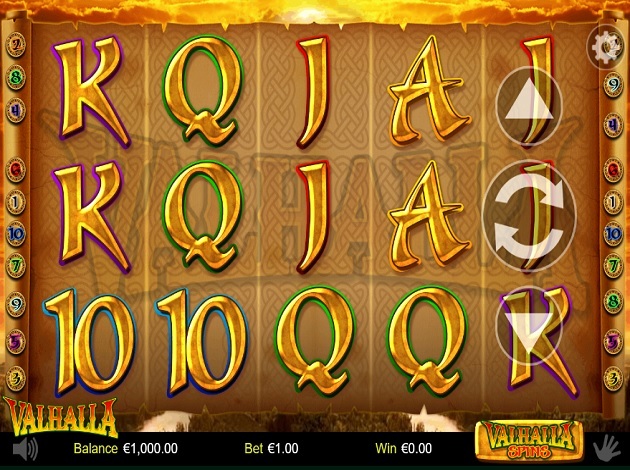 Valhalla is a game offering you a common theme in the world of Video Slots, about this time a new game provider has stepped in to put a fresh and new touch on it. The graphics and designs of Valhalla are fairly simple with a clean design. The reels take up most of the screen, and on these reels, you can see all symbolic animations for the theme. Behind this is a fire coloured sky high up, maybe closer to Valhalla than imagined. Valhalla Video Slot is played with 5 reels on 3 rows, and additional 10 paylines that you can choose to play with. The more paylines you keep active, the more you can win. Valhalla is a game that grants you a few special features, but a Bonus Game is not one of them. if you do, however, enjoy the theme of this game and wish for there to be an extra Bonus with it, then you should check out Viking Runecraft from Play´n GO. This is a thrilling game inspired by Vikings of Nordic, offering you numerous Bonus features and extras. X1 Reel Game; Wilds can appear in the centre reels with expand and Wild Re-spins. X2 Bet; awards you Expanding Wilds and you can bet more to add Wild Re-spins or play Max Bet for Wild Multipliers. X4 Bet; awards Expanding Wilds and 1 Re-spin. If connected with a Wild, you can bet more to add Wild Re-spins or play Max Bet for Wild Multipliers. X6 Bet; awards Expanding Wilds and 2 Re-spins. If connected with a Wild, you can bet more to add Wild Re-spins or play Max Bet for Wild Multipliers. X8 Bet; awards Expanding Wilds and 3 Re-spins. If connected with a Wild, you can bet more to add Wild Re-spins or play Max Bet for Wild Multipliers. X10 Bet; awards Expanding Wilds and 4 Re-spins. The Re-spins will here add a plus Multiplier when it does. These are all levels that you can choose yourself, the level is depending on your bet level. Meaning the higher the bet, the higher the level can go. Valhalla is a brilliant game that allows players to somewhat control their own gameplay, making it as high-stake and rewarding as they wish. With this and the actual features offered, you are surely in for a treat spinning the reels of this Slot.